Dan Gutman is a baseball guru, and very prolific author. 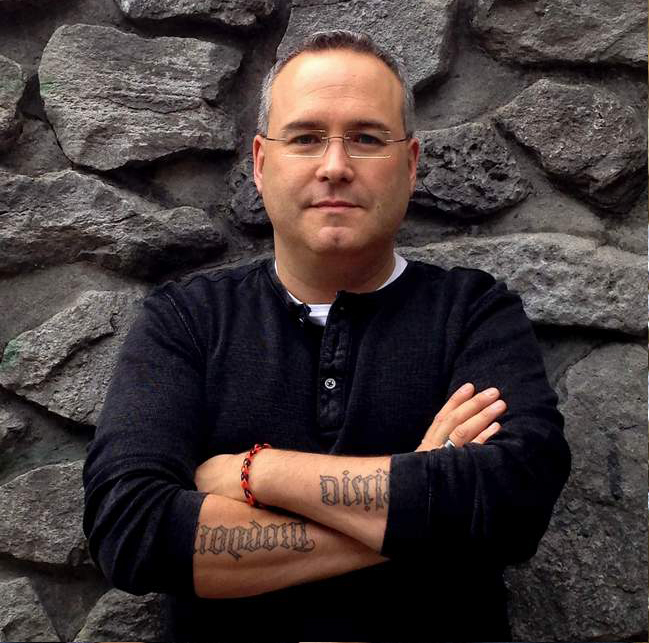 He recently took a few minutes to answer some questions for us here at Book Reviews and More. Probably working on a magazine or a newspaper. In other words, I'd be unemployed. 2. You have stated that you received hundreds of rejection letters, what kept you going in the face of so much rejection? I just convinced myself that I knew what kids like to read, and that the publishers who were rejecting me were out of touch. My wife Nina, who has been with me from the very beginning, has been my biggest supporter. She never doubted me, or even suggested I should give up my dream. Also, my friend Ray Dimetrosky has always been a big supporter. My book "Honus & Me" is dedicated to him. I wish somebody had suggested to me back in 1980 that I would be good at writing for kids. I spent 15 years trying to write newspaper articles, magazine articles, screenplays, and books for grownups before I realized my true calling. 5. You have mentioned that your writing was sparked by reading books to your own children, what were your favorite books to read together as a family when your son and daughter were young? The Cut-Ups and anything by James Marshall, anything by Dr. Seuss, and later, Hatchet. I start with a BIG IDEA, where I take an ordinary kid and put that kid into an extraordinary situation. I brainstorm and do research where I put all my ideas on file cards. This serves as an outline. I write on a laptop computer (MacBook), and rewrite daily as I'm working on a story. I'm usually finished in about six months. I send it off to the publisher, and they do the rest. No. I need complete silence. Sometimes I listen to classical music on headphones to block out the noise of people talking. I hate to be a party pooper, but it's not like that for me. My characters exist only on the page. When I finish a book, I barely remember their names. 9. What authors influenced your writing style and format? Gary Paulsen, Barbara Park, Mark Twain, Robert Benchley, Woody Allen. But I was more influence by TV--Get Smart, Rowan & Martin's Laugh-In, Saturday Night Live, David Letterman, and Mad Magazine and National Lampoon. 10. You have worked with almost all the major publishers; Penguin Books, Macmillan, Random House, Scholastic Press, Simon and Schuster and HarperCollins and more. To what do you attribute your vast publishing experience, many authors stay with one or two publishing houses their whole career? I'd rather not put all my eggs in one basket. If I only published with one company, and they went out of business, I'd be in trouble. Also, when publishers reject what you've written, you just take it elsewhere. 11. You have stated you did not think you could write fiction and yet have become incredibly successful in the fiction market. What prompted you to take the leap with your first fiction book; They Came From Centerfield? I enjoyed writing non-fiction, but the books became dated very quickly. I wrote books about gymnastics and ice skating that were obsolete almost as soon as they were printed. I wanted to write something that could be timeless. Also, to be honest, all the FAMOUS authors wrote fiction, and I wanted to be famous. I would agree with that. I don't remember much of what I learned in college, but it taught me how to be organized, how to prioritize things, how to make decisions, work hard, and to be independent. That's what you need to be successful in any field. I sure hope books don't disappear. But if they do, reading is still reading, whether you do it with a piece of paper or a screen. I don't know what a torrent site is. 15. With eBooks some authors are going back and releasing ebook versions of their earlier and out of print books. Would you like to see all of your books available again via this format? Sure! Some of my favorite books--"Virtually Perfect," "The Secret Life of Dr. Demented," did not sell and are out of print. I'm more well known now than I was when they were published, and I would love it for my fans to be able to read those books that bombed when I was unknown. 16. What were some of your favorite authors and books in your teen years who helped shape you? The only author I really got into back then was Kurt Vonnegut Jr. And of course, Jim Bouton. But he was a baseball player who wrote "Ball Four," a book that turned me on to reading. "The Invention of Hugo Cabret," Gordon Korman, David Lubar, Roland Smith, Gary Paulsen, Peg Kehret, Carl Hiassen. series, yet your website does not indicate future volumes. There will be four, coming out once a year. Will there be more books after the three volumes in the My Wierder School series are released? Yes, there will probably be 12. Will your 99th and 100th book be in the Genius Files series? I'm not sure of the order yet, but they will probably be the second Genius Files book and the 11th baseball card adventure (about Ted Williams). An encyclopedia, a dictionary, The Baseball Encyclopedia, a thesaurus, and my photo albums. Can I also have The New York Times delivered daily? Don't copy some other author. Keep it simple. Don't use a bunch of fancy words. Have a conversation with your reader. 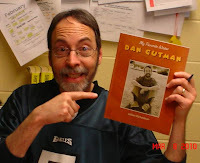 And go to my web site (www.dangutman.com) and click TIPS FOR YOUNG AUTHORS.